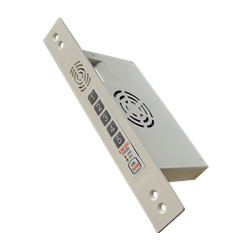 PIKS UTOPIC is the newest of product of DESI that is easily installable on security doors and without need for power outlet capable of storing more than 1,900 finger prints. Parts are connected via secure wireless (RF). The system is installed on the inside of the leaf, invisible when the door is closed. It goes active if the code is not entered within 8 seconds of opening the door. Sensitive to harsh impacts on the door. 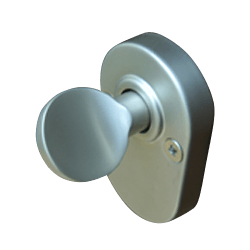 Easily installable on wooden doors and security doors. No need for wiring and power outlet connection. Operating by two alkaline batteries. 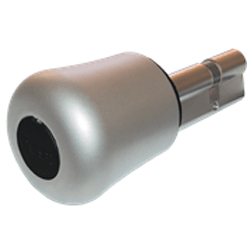 DESI is a leading company in designing and producing innovative solutions for security doors as well as CCTVs since 1980. 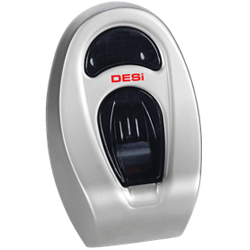 Today DESI is the largest manufacturer of biometric systems for homes, offices and lock systems for automobile manufacturers such as FORD and ISUZU. 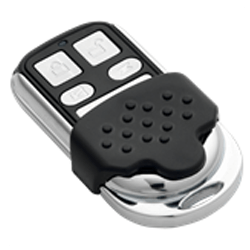 DEJINEH became the exclusive distributor of DESI in 2008 enabling all our customers to equipped their security doors with the state of the art DESI systems.